Boost Your Memory, Become Smarter? An intense game of Concentration or other demanding memory task might kick your intelligence up a notch or two, and the more you engage your brain this way, the smarter you might become. Researchers reporting in the Proceedings of the National Academy of Sciences say that brain exercises designed to improve working memory also increase scores in fluid intelligence. Fluid intelligence is the ability to reason and solve new problems. It does not rely on memory and is often thought of as having a strong hereditary component. Such intelligence is considered one of the most important factors in learning and is linked to academic and professional success, according to researchers. The findings challenge current beliefs that the only way to increase fluid intelligence scores is by directly practicing on the tests used to calculate the score. Until now, there has been no evidence to suggest that other types of brain training would increase such scores in adults. "The finding that cognitive training can improve fluid intelligence is a landmark result because this form of intelligence has been claimed to be largely [nonsusceptible to change]," Susanne Jaeggi, of the department of psychology at the University of Michigan, and colleagues write in the journal article. "Our data provide evidence that, with appropriate training, there is potential to improve fluid intelligence." 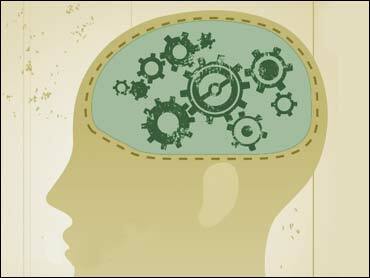 intelligence by means of a working memory task. For the study, healthy adult volunteers (average age: 26) completed a standard test for fluid intelligence and then performed a series of training exercises designed to improve their working memory. The researchers divided the volunteers into four groups; each group repeated the exercises over a different number of days. Jaeggi's team retested the volunteers' fluid intelligence after the training and compared the scores to those who did not receive training. They noted a significant improvement in fluid intelligence scores among those who participated in the demanding memory tasks. There were greater improvements seen in those who spent the most time training. "We demonstrate that the extent of gain in intelligence critically depends on the amount of training: the more training, the more improvement in [fluid intelligence]," the researchers write in the journal article. The team says their findings suggest that such memory training appears to strengthen the brain's many "executive processes" responsible for problem solving. The score improvements were not due to pre-existing individual differences in fluid intelligence. The idea that it's possible to improve fluid intelligence without directly practicing on tests themselves opens a wide range of applications in education, according to the researchers.